MIAMI -- A Florida man has been arrested for his alleged role in a smuggling venture that brought major league baseball star Yasiel Puig out of Cuba, according to court records, the Associated Press reports. Gilberto Suarez is scheduled to make an initial appearance Thursday in Miami federal court on a charge of alien smuggling. Suarez was arrested Wednesday and it wasn't immediately clear if he had an attorney. The indictment against Suarez remained sealed before the hearing, but a civil lawsuit filed in Miami against Puig, who plays for the Los Angeles Dodgers, contains details about him. Those documents describe Suarez as one of the Miami-based men who financed Puig's 2012 trip by boat from Cuba to Isla Mujeres, a fishing village near Cancun, Mexico. The initial price for the trip was $250,000, then was raised by the smugglers to $400,000. An affidavit by a Cuban boxer who was on the trip said the financiers eventually hired men to take them away from the smugglers to Mexico City. The boxer, Yunior Despaigne, said in the affidavit that he met Suarez and others while in Mexico City. 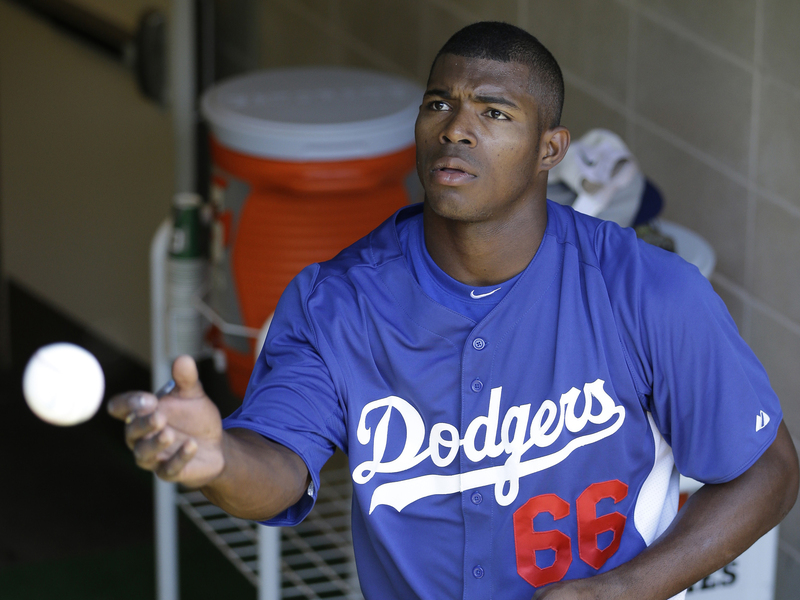 Puig, a 23-year-old outfielder, later signed a seven-year, $42 million contract with the Dodgers. Despaigne said in the affidavit he was told that Suarez and others were supposed to receive a sizable percentage of Puig's contract. Later, after Despaigne had crossed the U.S. border into Texas, he said he met with Suarez in Miami. Despaigne was told, he said in the affidavit, that one of the original smugglers who was issuing threats because he had not been paid would be "neutralized." Suarez told the boxer to look up the man's name on the Internet, where Despaigne found articles that he had been shot and killed near Cancun. The lawsuit, filed by a man jailed in Cuba, claims Puig falsely accused him of human trafficking to curry favor with Cuban authorities so he could rejoin Cuba's national baseball team. Puig had been removed from the team because of fears he would defect. Through attorneys, Puig has denied the allegations.